(TibetanReview.net, Nov15, 2017) – Citing fear of offending China, publisher Allen & Unwin has decided to rescind its decision to publish a book about the Chinese government’s domineering and pervasive influence inside Australia, a subject of much media discourse in recent times. 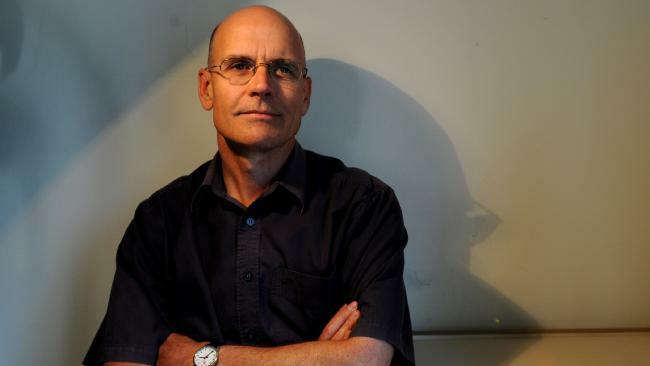 CNN Nov 13 cited Clive Hamilton, a professor of public ethics at Charles Sturt University in Canberra, as saying his book, “Silent Invasion: How China is turning Australia into a puppet state”, was due to be published early next year but now won’t be. The publisher has suddenly informed Hamilton the week before that it would be delaying the book for an unspecified period after being warned it could face defamation action by the Chinese government. And Hamilton has cited another Allen & Unwin employee as having told him verbally that the publishing firm’s CEO Robert Gorman had decided to abandon publishing the book entirely. The report noted that Hamilton, who has been awarded the Order of Australia medal for his contribution to public debate, had said “Silent Invasion” studied the extent of the Chinese government’s influence in Australian politics, education and business. Hamilton has called Allen & Unwin’s decision a watershed in the debate over China’s suppression of free speech. “What we’re seeing … is the first instance where a major Western publisher has decided to censor material of the Chinese Communist Party in its home country,” reported rfa.org Nov 13. The book is billed as a comprehensive analysis of the Chinese government’s methods of asserting influence in all areas of Australian society and the author has vowed to publish it through other channels. The issue is not new. Australian news organizations have reported widely on Beijing’s influence in the country, including large donations to political parties and close observation of Chinese students’ behaviour on Australian campuses, the CNN report noted. This is not the first time a major publisher has come under fire for exercising self-censorship for fear of offending China. In August, Cambridge University Press was severely criticized for removing hundreds of articles from its online site dealing with topics that included Tibet, Taiwan, and the Cultural Revolution because they are disapproved of by China. Cambridge eventually reinstated the blocked content following fierce backlash from its scholarly contributors and activists. And at the beginning of this month, it was reported that one of the world’s biggest academic publishers, Springer Books in Germany, had censored content to avoid clashing with the Chinese government. A spokeswoman for the publisher was report to have said that while the decision was “deeply regrettable,” it only affected about 1% of the company’s academic content.